At the highest level, what comes through from the responses is the unique, at times even uneasy, the relationship of technology to live events, in comparison to other forms of communication. Most modern methods of conversation—email, phone calls, texting, video conferencing—rely on digital technology. It’s at their core. But live events are all about direct face-to-face interaction. If you and I are across the world from each other, we need technology in order to communicate. But if we’re across a table from each other, we don’t need technology; it may even interfere (e.g., looking down at your phone instead of looking the other person in the eye). 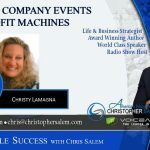 And yet technology is indispensable for modern event management, from registration to sound and lighting, digital displays, interactive games, security, data collection, social media engagement, and collecting attendee feedback. The result, as detailed below, is a series of quandaries. 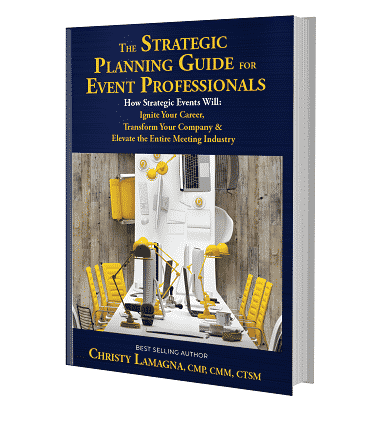 Event professionals are simultaneously excited by and sceptical of leading-edge technologies. They want to offer immersive new experiences without losing the humanity that gives live events their power. They want to collect data to deliver personalised experiences while respecting the privacy of attendees. These 27 experts told us, among other things, that augmented and virtual reality (AR and VR), as well as artificial intelligence (AI), are emerging trends—though some scepticism remains. That some of the best technologies simply blend into the background. That collecting valuable event data, integrating it with other sources, and using the data to deliver high-value, personalised event experiences is critical. 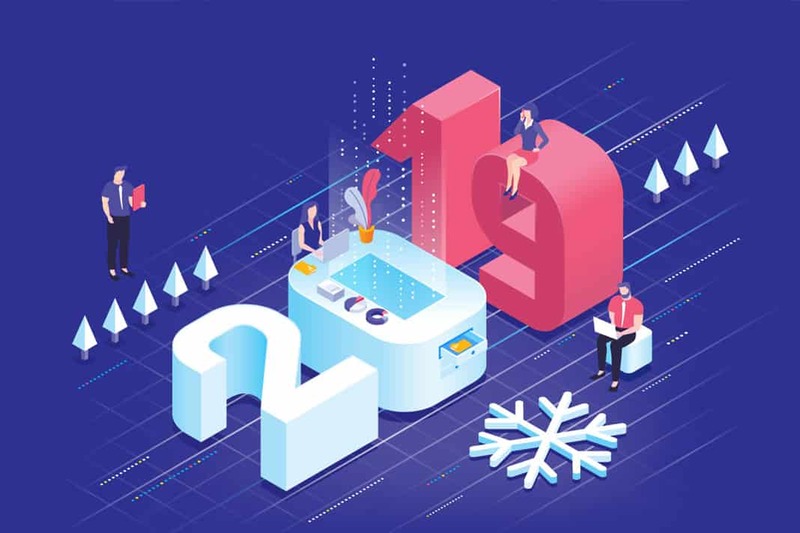 When asked the question: “What do you see as the biggest trend(s) in events this year, particularly in relation to event technology?” Here’s what the experts said. Fully half of these experts cited emerging technologies in some context. 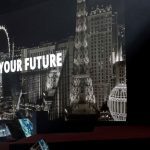 These are already finding their way onto show floors and into event meeting spaces, though these experts generally agree that current applications are just scratching the surface of what’s possible. As for AI-powered chatbots, the explosion of voice-activated systems such as Amazon’s Alexa and Google Home attest to the rapidly increasing capabilities of these systems. However, the voice interface does not work well in crowded environments such as a meeting room or a tradeshow…(so) text-based systems are starting to emerge as an excellent chatbot alternative.” — Corbin Ball, Founder at Corbin Ball & Co. The biggest event tech trend is”augmented reality. I suspect that in the coming years, it will usurp virtual reality because it offers most of the benefits while sidestepping some of VR’s drawbacks. The technology is also ready-made for any company that makes ingredient products or the invisible technology that allows our gadgets and gizmos to function. “One trend I think is a huge is AI. There are companies enabling people to provide on-site support for the technologies being implemented at events and to have basic questions answered through AI chatbots. It’s a great trend because it allows people to get the information they need without requiring a human until they reach an escalation point, and it’s immediate. Although there is clearly a great deal of enthusiasm about these advanced technologies, some scepticism remains. Though they will certainly have an impact, they may be a bit over-hyped at this stage. Also contrary to the hype over technologies like AR and AI, several experts suggested the focus has to keep on enhancing the live experience at events. Technology should support that focus, not supplant it. And it should be simple, making event organisers more productive rather than distracted by blogs, glitches, or confusing user interfaces. One example of how technology can enhance and extend the live event experience for attendees is getting them involved, for both fun and learning. Attendees are no longer content to sit back and be lectured to; they want to take an active role in the knowledge transfer and outcomes. “AR technology will open the door to gamification options (a Pokémon-like event scavenger hunt?) as well as interactive booths, signs, banners and displays.” — Corbin Ball, Founder at Corbin Ball & Co.
“Providing inclusive and interactive elements to all of the event. Letting the attendees become part of the event and determine some of the outcomes. The more people we can include in the event, the more ownership they take and the more likely this will be an event on their ‘not to be missed’ list of future events.” — Tracy Fuller, President at InnovativEvents Inc.
Several experts mentioned the preference of planners for tight data integration across systems. This can be achieved either through consolidation (though planners may want to tread cautiously with private-equity-owned firms, which as recent examples like IHeartMedia and Toys R Us show, can lead to instability) or through best-of-breed vendor partnerships. “Cloud-based software will make an ‘event tech deck’ and integration easier, Powerful event technology platforms and advanced APIs are making it easier to share data between applications for functions like event registration, exhibitor and speaker management, audience polling/engagement, event logistics, and data analytics and marketing.” — Corbin Ball, Founder at Corbin Ball & Co.
One key use of the data event organisers are collecting from those integrated applications is personalisation: delivering unique content and experiences to each attendee based on who they are and what (precisely, in real time) they are doing at the event. “As technology becomes more advanced, the personalized experience matters more to consumers into 2018 than anything else…Now that social media tools allow businesses to not only promote their event but also listen to attendees before, during, and after the event, those businesses can better understand what makes the difference for them between a fine event and a must-attend—which is priceless. “I’m really fascinated in seeing how the international discussion of data privacy and protection will factor into the next-gen uses of data, the vast amount of info that’s collected for location-tracking and matchmaking and networking purposes. Video is hot. You’ve likely seen statistics like how video is projected to account for 82% of all Internet traffic by 2022. Increasing mobile device and social media use is driving the popularity of video and live streaming in general as well as specifically within the realm of live events. Finally, a few of our influencers mentioned multiple trends, including some interesting developments not captured above. These include technologies for faster check-in using facial recognition, event promotion through influencers, and new display devices. “New methods for friction-free event check-in are developing. Automated check-in terminals are becoming standard at many events. For smaller events, guest list check-in apps replace cumbersome paper check-in spreadsheets with mobile devices and QR code scanning. Beacon technology is also working to streamline event check-in, slicing wait time down to just a few seconds. And facial recognition technologies are moving into event registration, making event check-in up to five times faster.” — Corbin Ball, Founder at Corbin Ball & Co. Enhance the live experience: The best event technology enhances, rather than displacing or getting the way of, what makes events special: the live, face-to-face interaction. So, technologies like RFID badges and facial recognition that accelerate and remove friction in the check-in process are winners. AR will likely play a bigger role than VR. And AI can help answer simple questions, but should help attendees quickly find live help for more complex issues. Balance personalisation with privacy: Personalising content and activities for each attendee makes them feel special and enhances the overall event experience. But organisers need to respect privacy as well when collecting the data necessary to personalise the experience. Clearly communicate to attendees what information is being collected about them and how it will be used. Be careful not to cross the line from creative to creepy. Make it simple but powerful. Event planners are focused on producing a remarkable experience for guests and a return on investment for the organisation. They will embrace technologies that support those goals, but only if it is intuitive and thoughtfully designed. Organisers want to focus above all on people—not on how to use cryptic interfaces or make overly complex software work properly. It will be fascinating to watch those ideas play out this year, and explore the emerging trends for 2020 yet to come.